Gary is very professional, thorough, and easy to work with. 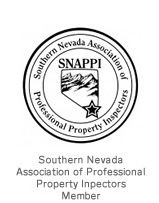 He was able to do our inspection in less than 48 hours and delivered his report within an hour of the inspection. His website was simple to navigate, the reports were beautifully presented and comprehensive. He provides a detailed report and a summary of issues that need to be addressed. The reports were sent to our agent simultaneously. Follow up questions were handled promptly, and he is extremely courteous and patient. I have NO hesitation in recommending Gary. I have been using him for my home inspections and he is always quick to schedule the visits. He shows up on time and is very efficient and knowledgeable.